When making this card, I had a little girl in mind, and her name is Abbi. My blog friend, Danni, is asking for cards to help make this sweet girl smile. 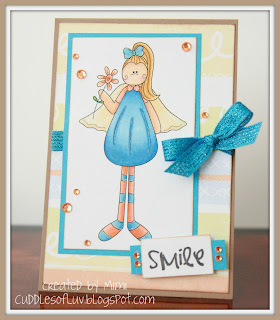 You can find out all about it here on this post, and hope that you can send a happy card her way. 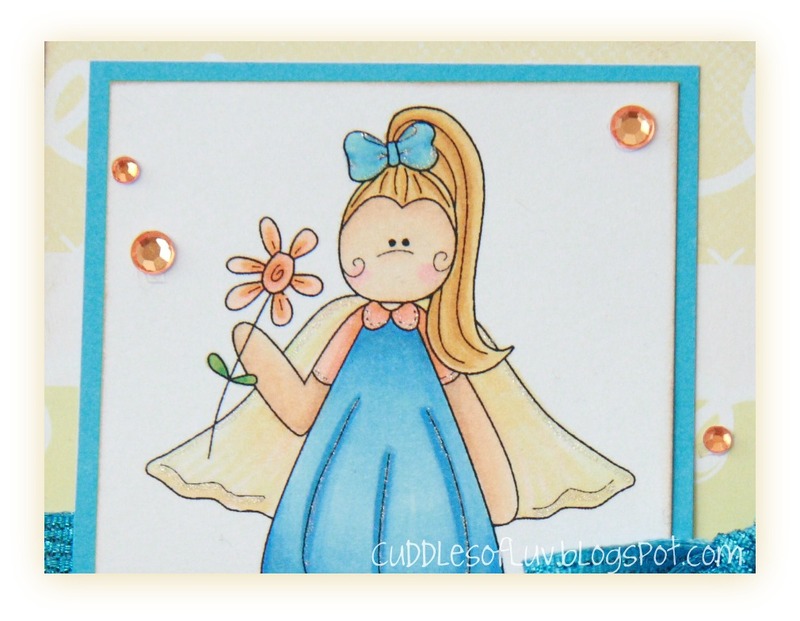 Be sure to head on over to Lollipop Crafts to find out all the deets to this week's challenge, and how your awesome creation could be the winner of some cute digi stamps. I'm sure this will bring a big smile to Abbi from cheek to cheek. 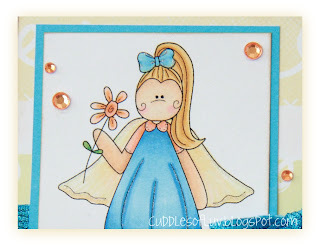 This sweet card will definitely put a smile on Abbi's face and lift her spirits. Aw, Abbi is gonna love it! She's super sweet and the colors are terrific. Wonderful job Mimi! Very cute card Mimi! Love the color combo and for such a great cause!